As one of the long-run and recognizable music festivals across the States, Beale Street Music Festival attracts big attendance by headlining more and more music heavyweights. This year is cemented as the 43 Annual Beale Street Music Festival of Tennessee. In celebration of that, festival-goers flock to the mid-east farm to see artists such as Dave Matthews Band, The Killers, Charlie Wilson, Cardi B, G-Eazy, Khalid, OneRepulic, Shinedown and so on. Known as its diversity and variety of music genre, Beale Street Music Festival never kill our desire of music feast included rock, alternative, R&B, hip hop, indie, pop, and blues. This three-day, four-stage festival is set for May3-5th and consistently sold out every year, despite the dust, heat and crowds that accompany it; it remarks one of the best festivals in America’s premier heritage music festivals, year after year. Last year, Jack White, Queens of the Stone Age, Odesza, Post Malone, Logic, Erykah Badu, Incubus, Alanis Morissette, Tyler, the Creator and many more provided spectacular performances in the mainstage for the 2018 Beale Street Music Festival. 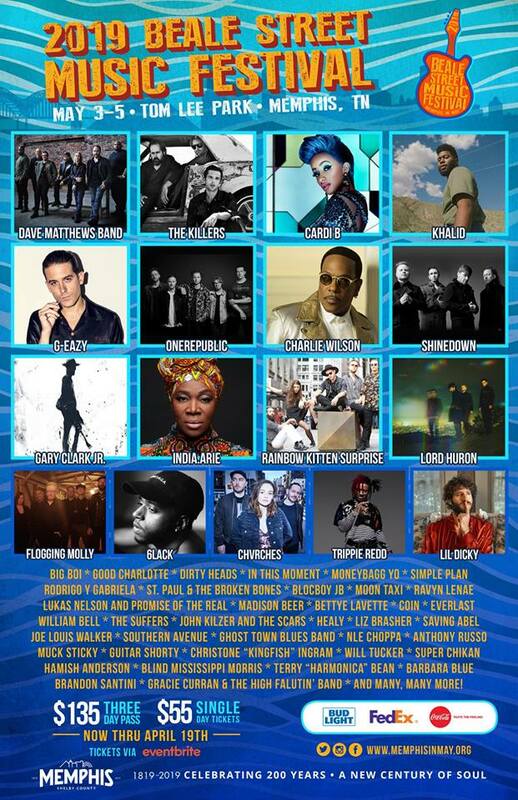 BSMF19 returns with a history-making lineup list. Besides the old biggest names like The Killers, G-Eazy and Dave Matthews Band, there are many new faces will join the fest family. Especially, the queen Cardi B who just won her first remarkable 61st annual Grammy Awards as the first female to win the Best Rap Album and performed “Money” on the stage. New rising R&B star Khalid who nominated for five Grammys this year foster the popularity of the event. Other artists include 6lack, Trippie Redd, Chvrches, Lil Dicky, Good Charlotte, Big Boi and Rodrigo Y Gabriella will be front and center at the festival. 2019 will be a hustle but exciting year for many musicians. 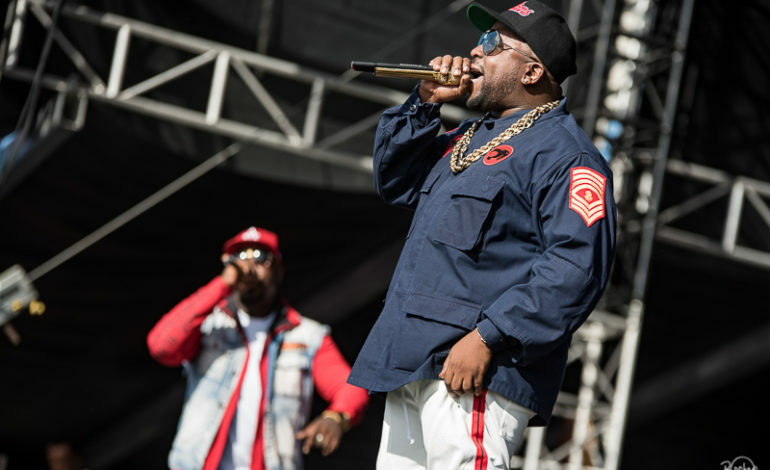 Earlier February, Big Boi released two songs, announced his Spring 2019 tour and even performed to this year’s Super Bowl LIII halftime show. After dropping 2018 album, Chvrches also announced their 2019 Love Is Dead tour, besides BSMF19, they will line up for the Minneapolis Basilica Block Party and Forecastle. The Mexican acoustic rock duo Rodrigo y Gabriela are preparing full-length album Mettavolution in five years. BSMF19 will take place in the thick of summer and in the heat of Memphis, Tennessee. This festival is always a sell-out so make sure to get your TICKETS early!